Samsung’s new Note flagship, the Galaxy Note 8, is undoubtedly one of the company’s best smartphones you can buy on the market right now. The Korean giant has packed this device with all the cutting edge features, and it checks almost all boxes when it comes to its performance. However, all that flashy hardware comes with a hefty price tag. In fact, it is one of the most expensive Samsung smartphones out on the market right now. At the time of launch in India, the Galaxy Note 8 was retailing for ₹67,900. Although this isn’t as expensive as the 10th anniversary iPhone, it is sure to raise a few eyebrows. However, Amazon India is now offering a handsome discount on the smartphone, making it one of the best time to buy this device. Amazon India is offering ₹8,000 cashback, effectively taking the price down to ₹59,900. Do make a note that the cashback will be credited to your Amazon Pay Balance, irrespective of the payment method you choose to go for (offer not applicable on “Cash on Delivery” or “Card on Delivery”). The product is sold by “STPL Exclusive Online,” and upon checking, the seller appears to be quite reliable with 90-percent positive reviews over the last 12 months. If you’re planning to purchase a flagship device, this is one of the best deals you can get in my opinion. 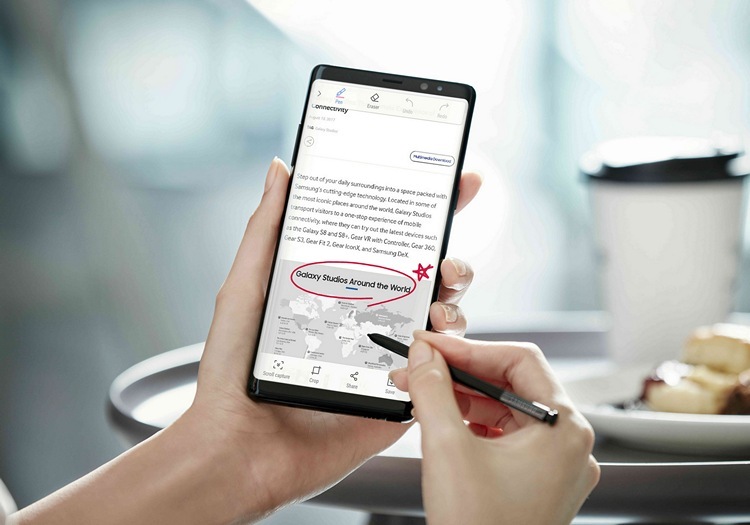 Talking about other noteworthy features, the device also comes with an S-Pen and a dedicated Bixby button. Although Bixby isn’t the go-to virtual assistant option for most people, it is powerful and efficient. Overall, the Galaxy Note 8 is really worth considering if you’re looking to buy a premium flagship Android smartphone. So, what do you think about this? Do you plan on buying the latest Galaxy Note phablet at this discounted price? Let us know in the comment section down below.